That's some sweet box art! Sony has announced four official bundles for its upcoming PS4 console launch in the UK. The first bundle is a basic package containing a PS4 and a DualShock 4 controller for £349. The second and third bundles includes Killzone: Shadow Fall or Watch Dogs for £399. 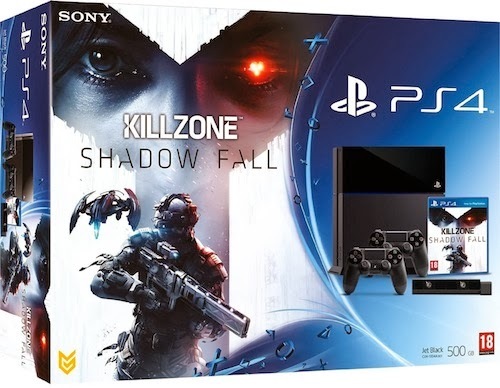 The fourth bundle (pictured) includes two controllers, a copy of Killzone: Shadow Fall and a PlayStation Camera for £449. Sony previously stated the 'Mega Bundle' would match the Xbox One price of £429. These are in addition to bespoke retailer bundles. The PS4 will be released in the UK on November 29 and you can pre-order here.